Don Ross was recently appointed, by unanimous vote, as the Nominations Committee Chair for the NWRA Supplier Board of Governors, continuing his path toward the future leadership of the Association. 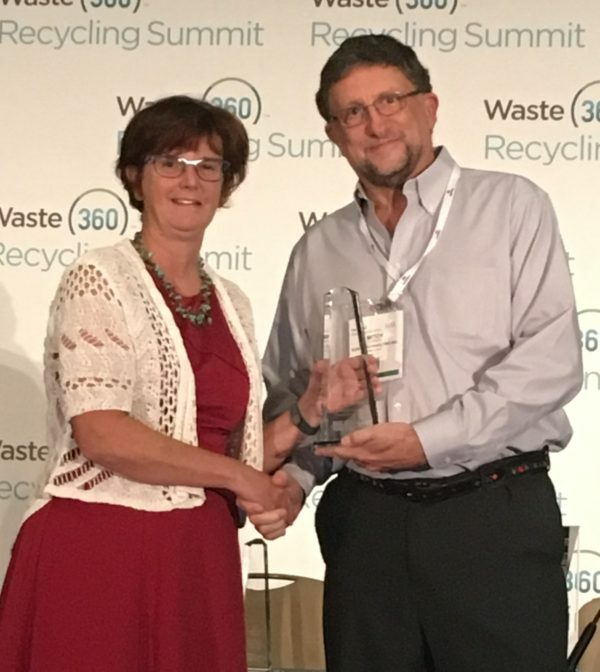 In August during the NWRA Waste360 Recycling Summit, Emerald Coast Utilities Authority was awarded both the 2016 Organics Recycler of the Year award, as well as the Best Recycling Public Education Program award. A big congrats to the entire ECUA team! Don Ross represented KCI at the Manatee County Appreciation Luncheon on December 5th where the county recognized partners that were integral in the county’s extremely successful conversion to carted single stream recycling. KCI managed this project and led the 20-member transition team throughout the rolling start concluding October 1st. Results thus far indicate recycling diversion nearly doubled in just the first few months. Mitch Kessler was asked to serve on a Recycling Business Develop Technical Advisory Group (TAG) for the Florida Department of Environmental Protection (FDEP). The TAG met in December and discussed current impediments in Florida to increasing recycling markets and what actions the state can take to overcome these obstacles. The TAG will develop specific recommendations to present to FDEP in order to assist in reaching the state recycling goal of 75% by 2020.